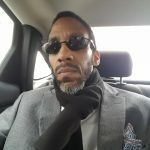 Libertarian Activist and Hip Hop Artist Joins Virginia Right as a Contributor | Virginia Right! Central Virginia, September 30, 2018— Libertarian Activist and Hip-Hop Artist Corey “Sage” Fauconier will be joining Virginia Right as a Contributor. Virginia Right is a conservative blog which strives to bring the public news, opinions and events from the political world. Virginia Right encourages the public to become engaged in the political process. In 2016, Fauconier was appointed the Communications Chair of the Libertarian Party of Virginia. He was the first Black to hold that role. In January 2017, Fauconier along with 35 volunteers secured the 250 ballot petition signatures to run as the Libertarian Candidate for Virginia State Senate District 9. This district included Charles City, Eastern Henrico County, the City of Richmond, Glen Allen, City of Ashland and parts of Hanover County. During the special election, Fauconier was endorsed by Republican United States Congressman Tom Garrett, The Virginia Citizens Defense League (VCDL), and Virginia Right. In addition to his endorsements, Fauconier released another single to express liberty. In December 2016 he recorded and released “Get In It”. The track recorded by James “Bully Boi” Harris of Da Factory Recording Studio in Manchester. Even with super low voter turn out Fauconier was able to garner 8% of the vote and win the Elko district on the East End of Henrico County. Because of Fauconier’s run in the special election, Elko is now reflected as a yellow dot on the Virginia State Board of Elections map representing the Libertarian Party. Be on the look-out for Corey ”Sage” Fauconier making positive contributions to Virginia Right as he invites Virginians to become involved in the political process. Virginia Right is a conservative blog which strives to bring the public news, opinions and events from the political world. Virginia Right encourages the public to become engages in the political process. Join Virginia Right as we push back at the loss of liberty. Welcome aboard Corey ! VaRight has always embraced political voices from all, and those of us who follow this valuable blog welcome your contributions with open arms.I do hope to have an opportunity to meet you in the near future and perhaps have you as a guest at the King William T.E.A Party meeting. Politics in America have become “stale” , the two party system needs shook up. Libertarians embody important principles, particularly along the fiscal discipline that neither of the two parties even give a thought to these days. All of us who value the founding principles this country was founded on look forward to the great contributions you will make writing for VaRight ! politics in America have become “stale”, the two-party system needs shook up. Libertarians embody important principles, particularly along best pour over coffee maker the fiscal discipline that neither of the two parties even give a thought to these days.